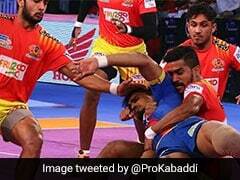 It was India's second surprise defeat after the men's team were also beaten by Iran in the semi-finals on Thursday. For the first time since kabaddi's Asian Games inclusion in 1990, India will return without a gold medal and it was one of their own who helped plot their downfall. Iran stunned India 27-24 to claim women's gold on Friday and at their helm was a 62-year-old bespectacled coach from the west Indian town of Nasik. Shailaja Jain has spent more than three decades coaching hundreds of kids in Maharashtra, but never got an opportunity to lead the India national team, which still rankles with her. So when Iran offered her a deal last year to coach their women's team, she took it as a challenge to prove her credentials, which she did in emphatic fashion at Theatre Garuda. It was India's second surprise defeat after their men's team were also beaten by Iran in the semi-finals on Thursday. "When I first visited Iran, I said my mission is to prove I'm the best coach. And now we have the result," she said, wiping away tears of joy with one hand and carrying a notebook in the other. "Before the final, I told the girls 'don't send me back to India without a gold'. And after the match, some of them came to me and told me 'madam, we've gifted you what you wanted'." "The first things I did after reaching Iran was starting a kabaddi WhatsApp group. Every morning I'd post an inspirational message. There was a girl who'd translate it for others," she said. "Initially I started with 42 girls but kept trimming it as we pruned the team. Now it has 13 members -- 12 girls and me." It had the desired effect as Iran staved off India's late fightback to win the contest. "I'm sad that India lost. Like any other Indian, I love my country too. But I love kabaddi also and being the coach of this team, I had only Iran on my mind," she said. Jain, who was carried on her players' shoulders after the victory, considers her main influence on the team was to overhaul their defensive techniques. "Everyone wanted to be a raider, nobody wanted to defend. Their catching technique was all wrong. We did well today but it's still not perfect." Iran beat South Korea 26-16 in the men's final to claim both kabaddi golds. Jain's contract with Iran expired with their Asian Games campaign and the Indian said she was looking forward to coaching another country in the future. Iran offered Shailaja Jain a deal last year to coach their women's team. Defending champions India were outplayed in the second-half. 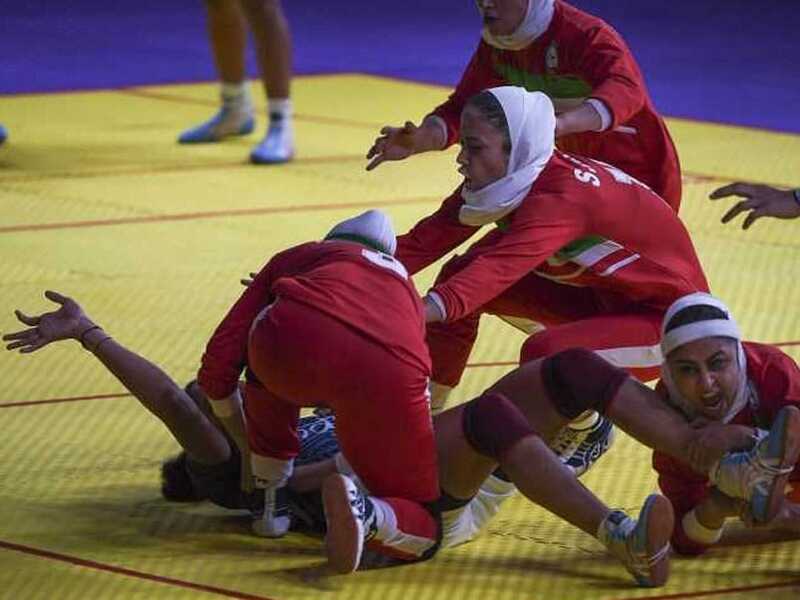 The Iranian women emulated their male counterparts who also won gold.